Chris Brown Looks Like A JUNKIE At New Years Party!! 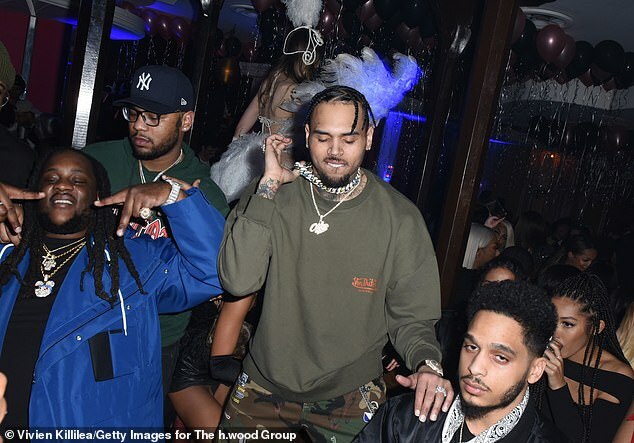 R&B singer Chris Brown looked like a full blown JUNKIE at a New Years party last night in Los Angeles. Chris and his homies attended Drake’s official New Years party held by Mod Selection Champagne at Delilah in West Hollywood. It was an A-list party with guests including Idris Elba, Madison Beer, Kaia Gerber, and many more. But the pics that were released of Christmas are startling. Chris looks ashen – and almost grey colored. And while he’s still skinny, he appears to be swollen too. 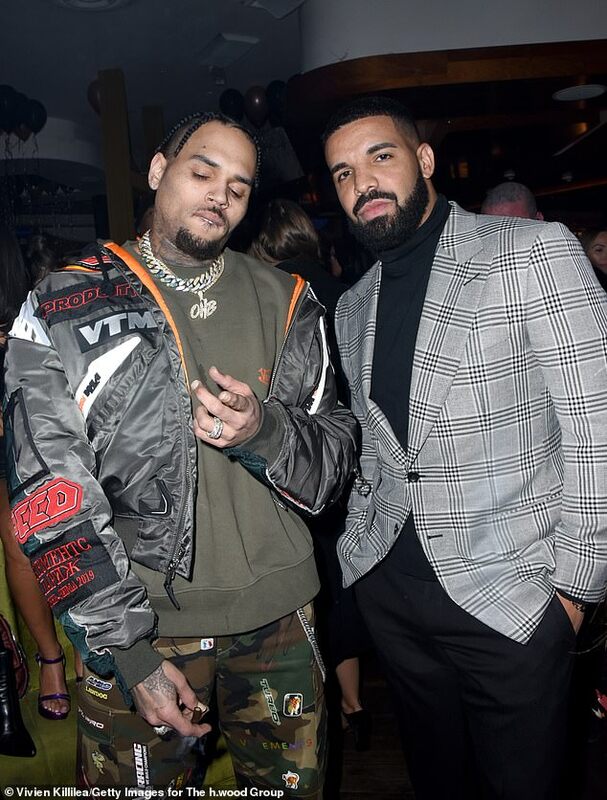 Many are saying that Chris is suffering from “coke bloat,” that’s when a regular cocaine user experiences a puffy and bloated appearence in the face, especially the cheeks. Chris Brown was been rumored to have a serious drug problem. It’s not clear whether he ever got treated for it. But her’s looking pretty bad now.